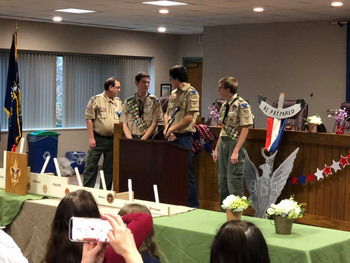 Last weekend, I presented House citations to three new Eagle Scouts from Boy Scout Troop 860 at the Collier Township Municipal Building. Those honored during the Eagle Court of Honor were Michael Kappert of Carnegie, Alexander McIlree of Oakdale and James Scalise of Carnegie. Congratulations!